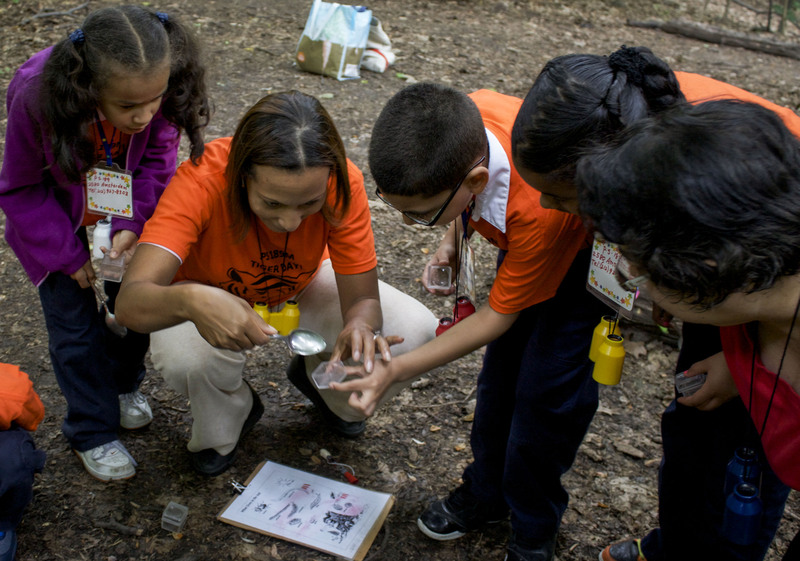 Experiential Learning: Using Parks as Outdoor Classrooms will provide 2nd – 8th-grade teachers with academic and administrative tools to conduct science lessons using a New York City park as their outdoor classroom. Experiential Learning: Using Gardens as Outdoor Classrooms will provide teachers with academic and administrative tools to conduct science lessons using a New York City park as their outdoor classroom. Focusing on garden ecology in the spring course, the training will equip teachers to plan and implement safe and effective outdoor lessons that provide students with hands-on experiences relative to their in-class curriculum. The course curriculum pays special attention to the recommendations by the NYC DOE for excellence in environmental education particularly regarding place-based education and real-world experiences involving investigation, analysis and problem-solving. Activities are carefully aligned with the New York City Department of Education’s latest Science Scope and Sequence as well as the Next Generation Science Standards. Course content is drawn from the City Parks Foundation Learning Gardens program for elementary and middle school students. This program has served thousands of NYC public school students and assisted public schools to expand opportunities for students to learn science and for teachers to meet standards for over 20 years.